Filed on Thursday at the United States District Court of the Southern District of New York, Sprint's complaint alleges AT&T has "employed numerous deceptive tactics to mislead consumers" into believing the mobile network they are using has technology that is slowly being worked on by all of the major US carriers. Sprint refers to the "5G E" connectivity logo that appears on some smartphones issued by AT&T when devices connect to certain parts of its mobile network described as using "5G Evolution" technology. In reality, AT&T uses the term to refer to existing 4G LTE-A technology improvements it has performed in hundreds of markets, but it has only now started to push marketing of the name onto mobile devices. 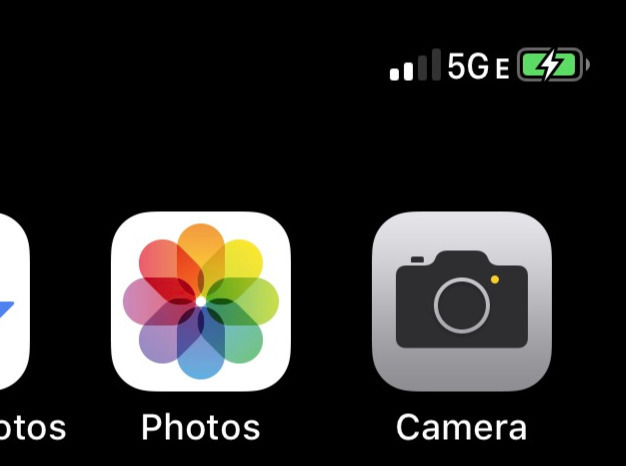 In January, AT&T came under fire from rival carriers on social media for adding the "5G E" logo to some Android devices, displaying it as a connectivity symbol instead of the more conventional 4G or similar graphics. The iPhone is not immune to this, as Apple included the "5G E" logo in its second beta of iOS 12.2, currently undergoing testing. Citing years of growth in terms of mobile users and the amount of data consumed, as well as demands for faster speeds with lower latency than current 4G LTE networks can deliver, Sprint acknowledges in the lawsuit that it, AT&T, and others are "striving to be among the first to market with a wireless 5G service." In Sprint's case, it claims to be working on deploying a genuine 5G network in select cities in the coming months, and has "invested billions of dollars in network upgrades." "AT&T, meanwhile, has sought to gain an unfair advantage in the race to 5G by embarking on a nationwide advertising campaign to deceive consumers into believing that its existing 4G LTE Advanced network is now a 5G network," asserts Sprint. "This technology is indisputably not 5G. Adding an 'E' or the word 'Evolution' to 5G does not mitigate the deception." By marketing the "5G Evolution" connectivity when it is using the same technologies as other carriers is an attempt to "secure an unfair advantage in the saturated wireless market," according to Sprint. While AT&T is marketing using the "5G Evolution" badge at the moment, it is making progress on producing its own genuine 5G network, and in January the carrier revealed it aims to blanket the United States with a standards-based 5G network by 2020. Its current efforts do offer connectivity to a 5G network, but only through using a custom Netgear Nighthawk Mobile 5G Hotspot. While the carriers are fighting over branding and working to bring their own 5G networks to fruition, it may be some time before iPhone users stand to benefit. It is believed that Apple is working on implementing 5G in a future iPhone, but it is unlikely to arrive until 2020 or later. Update: AT&T provided AppleInsider a statement, which is published in full below. We will fight this lawsuit while continuing to deploy 5G Evolution in addition to standards-based mobile 5G. Customers want and deserve to know when they are getting better speeds. Sprint will have to reconcile its arguments to the FCC that it cannot deploy a widespread 5G network without T-Mobile while simultaneously claiming in this suit to be launching legitimate 5G technology imminently.'" Sprint fighting the good fight. Cat fight! Cat fight! Marketing execs arguing over what 5G is or isn’t. Samsung fanboys livid because they want to blast the iPhone over not having 5G. Clueless public who couldn’t care less. This is nerd heaven. Let's be honest. When these Carriers and phone manufacturers start marketing 5G, do they guarantee coverage and speed as they advertised ? NO,NO and NO. Than, why Sprint getting on AT&T's back complaining. AT&T not saying it's standard based 5G. Few minutes back I listed to AT&T CEO on CNBc and he said it's evolution step in 5G direction and they have done much homework before using the 5G E term. So, Sprint is smoking weed. AT&T did the same thing with when 4G LTE was coming into use. They showed 4G connectivity logo which mislead people into thinking they were on 4G LTE before the LTE network was fully up and running. 4G was faster than the previous 3G, but nowhere near as fast at LTE data. This is the same thing AT&T did with “4G”, which was supposed to refer to the new LTE, which was about to be rolled out and was being referred to by the industry as “4G” ... suddenly improved 3G (HSPA+) would turn on a “4G” symbol in people’s phones, misleading them into thinking they had the next jump in speed, when in reality, it was just the best 3G could do. Consequently, the networks renamed 4G after the technology, calling it “LTE” or “4G LTE”. AT&T created confusion to the market, to their advantage, and I’m glad they are being sued this time. At some point, real soon, lies and lying needs to be outside First Amendment protections. I LOL'ed really loud when I read AT&T's official statement in response to this suit! They truly have their head's up their asses, and are MASTERS of lying, much like POTUS! It all depends on what the definition of “is” is as one former POTUS explained. And by the way, lying to the government is perjury and not a First Amendment right already. But your lofty idealism is commendable, I guess. Two liars arguing over who is lying. Neither of them are innocent. One lies about having a 5G network. The other lies about being a network. Neither can get 4G straight yet they’re already talking about 5G which they are finding out WON’T work with their existing network hardware. And people wonder why Apple won’t touch 5G with a 10’ pole right now. "We understand why our competitors don't like what we are doing, but our customers love it. I don't know what customer likes to be lied to. I don't love it at all. Sprint may not be able to win this, but maybe if customers started a class action lawsuit, it might change. Pot and Kettle in court! Actually, Sprint seems to be the scummier company in my experience. Also, since when aren't companies allowed to deceive their customers? What are we, communists? Besides, I prefer my cable company's new 10G because it's like five generations better than anything the phone companies have! AT&T’s statement sounds like some deep fried BS. What reasonable mind would accept this response as legitimate? We had a school referendum a few years ago - there was a person heading a group that was opposed to the referendum that was knowingly publishing reports that were outright lies. He actually sued the state claiming a first amendment right to spread false information. There is. You just don’t know what the Constitution is, or what the 1st Amendment protects against. Here are two examples: libel and slander. Both forms of lying the 1A doesn’t protect against. Now try doing the rest of the research on your own. Aren’t they being bought by T-Mobile? did they clear this with their new bosses? But will Apple be blamed when an iPhone user doesn’t get or experience the 5G speed on their iPhone? ATT lies make Apple look bad.